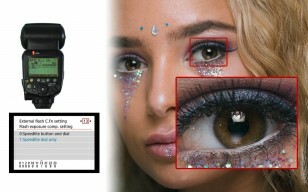 You can add your name inside each and every photo your camera takes, by filling in the owner’s name. Canon’s Digital Photo Professional software will show the owner’s name in any file. Owner’s name is NOT deleted when you clear all of the camera settings, you have to use the EOS Utility to software to intentionally remove or change the owners name. This is different to the copyright info, Author and Copyright, which are removed when a camera is reset to default settings. 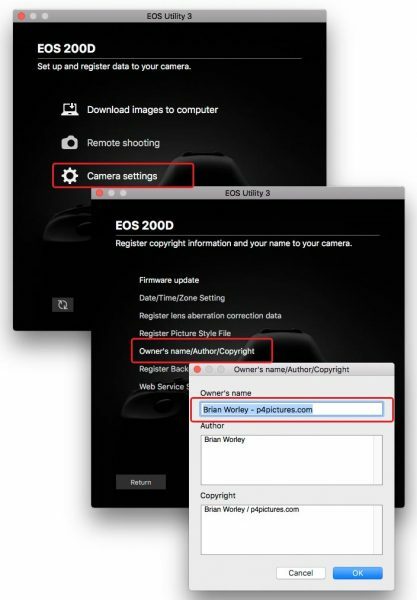 Setting the owners name with EOS Utility is straightforward, connect your camera with a cable or Wi-Fi, and choose Camera settings from the top EOS Utility menu, then select the Owner’s name/Author/Copyright and now you can fill in your name. There are two ways to format SD cards in EOS cameras, the slow way (screen above), and the fast way (screen below). Due to the way information is stored on SD cards, they don’t normally release all the available space with a plain format. So there’s the Low level format option to perform a “deep format”. This deep format does recover all the space on the card, but it take about three times longer than a standard format. 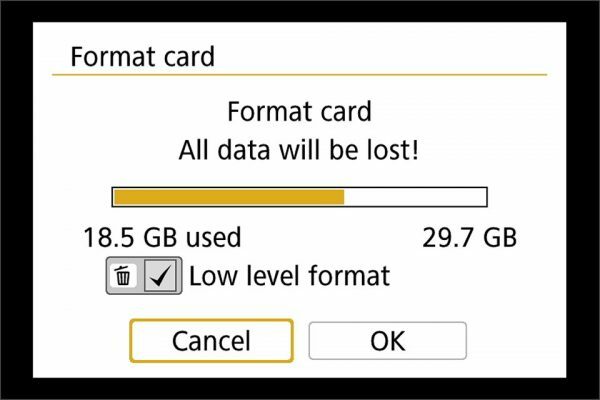 If you clear the low level format check box, your camera will format cards much quicker, and this is ideal when working in the field. For all new SD cards, I format with the low level option initially, and then leave my cameras with the low level format unchecked. Every few months I go through my cards and do a low level format, just to recover all the space from them.